Which Investments are Best for Roth IRAs? So you are in the market for a Roth IRA, that popular, flexible, tax-advantaged vehicle that can be used to save for retirement — smart choice — but here comes the next question: which investments are best for a Roth IRA? It's essential whatever you choose it has as low an expense ratio as possible. Small fees can really add up. The expense ratio is what the fund charges you to run it, reflecting operating expenses such as compliance and other administrative costs. Even the cost of marketing the fund to you is passed down in some way through the expense ratio. One very popular investment vehicle, The Vanguard Fund, has an average fund expense ratio of 0.18% and many investors see it as a low-cost leader. Regardless of what you choose, make sure you know the fund expense ratio and it's as low as possible, for sure under 1%. A mutual fund that invests in indexes which are compiled and calculated independently, such as the Standard & Poor's 500. Index funds generally outperform managed funds. You would think a paid professional who runs a mutual fund would do better than a market average, but history has consistently proven that to be a false expectation. One of the benefits of investing for your retirement through a Roth IRA (or a traditional IRA, for that matter) is the fact that you are not restricted solely to mutual funds. Through an IRA, you can invest in individual stocks, which opens the door to ETFs, which are nothing more than mutual funds which trade on a stock exchange just like stocks. Most ETFs are index funds, but they offer a wider array of specialized investments. For instance, if you want to invest in gold, there are several ETFs which allow you to do that. One such ETF (which uses the GLD symbol) owns the actual gold bars, and they hold more gold than all national governments except the big three. ETFs offer low costs, but not always quite as low and the index funds referred to above. If cost is an important consideration for you — and it should be take the time to check out all the costs of anything you want to invest in before you take the plunge. Convenience. Managed mutual funds are usually the most convenient way to invest as an employee. Low risk. They are the oldest of the three options listed here, and have proven themselves to be pretty safe in terms of risk. Variety. They offer by far the widest variety of specialized investment options. For instance, if you don't want any investment dealing with GMO, tobacco, or other issues, you are more likely to find a managed mutual fund to meet your needs than an ETF or index fund. High cost. Of the three options, managed funds usually are by far the most expensive. You may see rates which look low, e.g., 1.5 percent. Remember, though, that your long-term return is unlikely to be more than 7 or 8 percent. That means they will take 20 to 50 percent of your annual growth. That's a steep price for many. Bewilderment. It is not easy to distinguish between the bewildering arrays of managed mutual funds. They all seem to offer things like value and growth, and you never know which buzzwords are simply marketing gimmicks to get you to pick their fund. When you consider that index funds and ETFs are generally simpler and cheaper, it's easy to understand why they have grown much more in recent years at the expense of managed funds. Most people consider the best way to invest through a Roth IRA is by putting your money every month into index funds. They typify the get-rich-slowly ideology. Some of you will want to purchase individual stocks in your Roth IRA. Some will want to purchase real estate or invest in precious metals. If you make educated decisions, these can be excellent moves. However, for most investors, index funds are a smart way to own a piece of the market while mitigating risk. 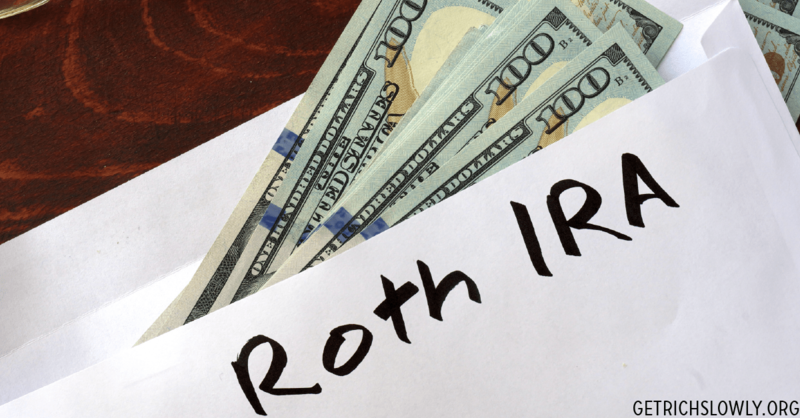 Part 2: What is a Roth IRA and why should you care? Part 4: Which investments are best for a Roth IRA? The main objective of any investment for retirement is safety: You don't want to invest in anything risky. You may enjoy investing in things like individual stocks or property, but we all know those can be risky investments. When it comes to your retirement funds, you want to stay away from things with inordinate risk. The fact that you can use a Roth IRA to hold a variety of investments is good news – it offers flexibility. What's good about it is that you can invest in pretty much any type of investment through your Roth IRA – stocks, bonds, exchange-traded funds (ETFs), mutual funds (including index funds), and even real estate. 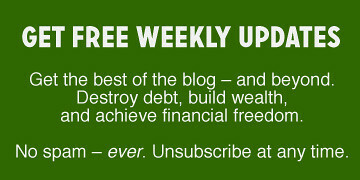 The bad news is that you can invest in pretty much anything – including things which might not work for you. For instance, if you thought Twitter was going to be a good stock to invest in, you would be banging your head against a wall right now. By far, the majority of the population earns their living from a job, which typically gives them two paychecks every month. The Roth IRA is perfect for that since you can easily put away a certain amount every month, a little bit at a time. But investing in rental property is quite a bit more difficult (effectively precluding that type of investment for many) because it requires a big chunk of money at a time. If you're like most people, setting time aside to make investment decisions is a challenge because your life is a daily whirl of activity. The tactic most successful people use is automation: They have a set amount deducted from every paycheck which is then automatically deposited into their Roth IRA account. For automation to work, you want to pick an investment which lends itself to a set amount invested every two weeks or so. These books will help you become acquainted with concepts like asset allocation, diversification, risk tolerance, stock valuation, and more. The better educated you become, the better investment decisions you will make.